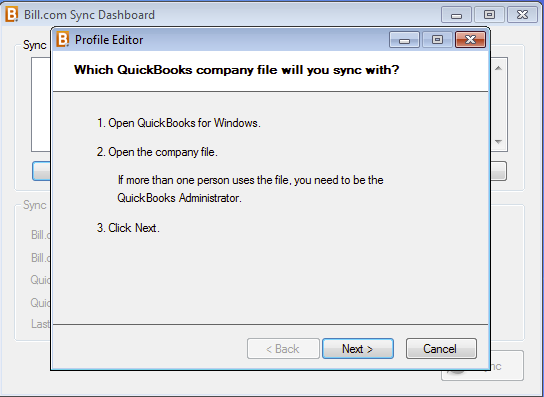 This guide will walk through setting up the sync with QuickBooks for Windows. 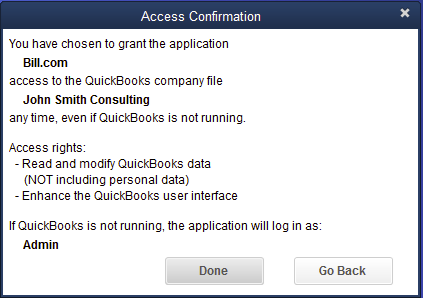 Tip: Back up your QuickBooks company file before proceeding. 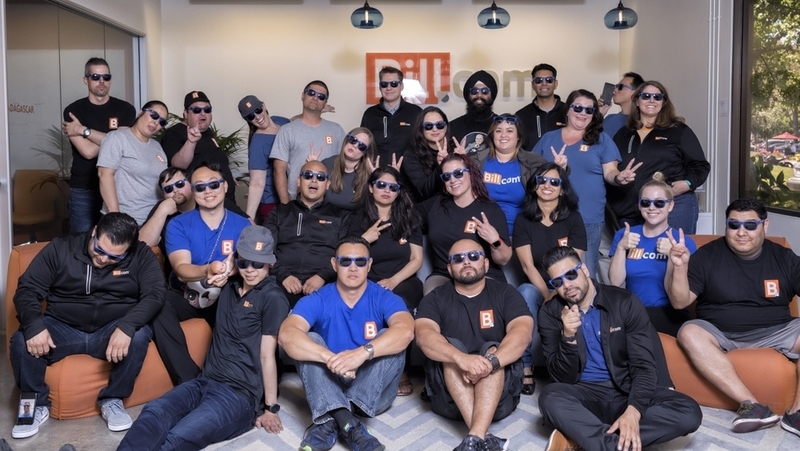 Click File, if Switch to Multi-user Mode is available, the file is already in single-user mode. 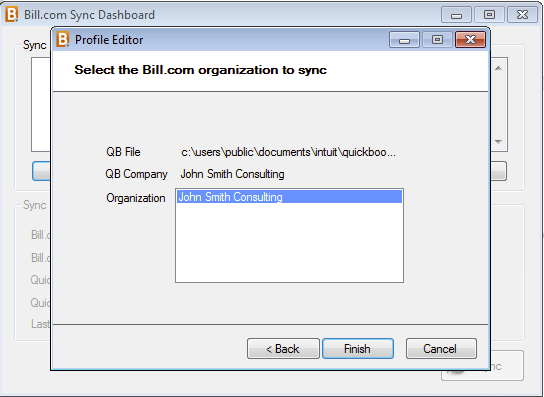 The sync dashboard needs to be downloaded and installed in the same location/drive as the QuickBooks program in order to facilitate the sync between Bill.com and QuickBooks for Windows. 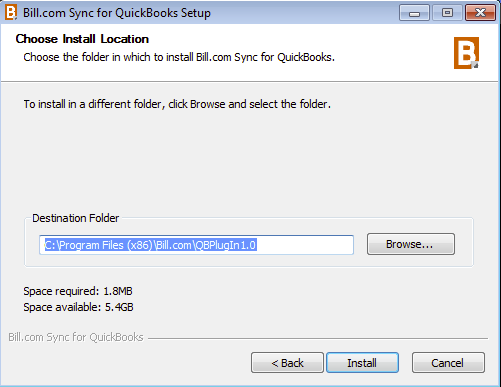 The QuickBooks company file does not need to be located in the same location in order to sync. 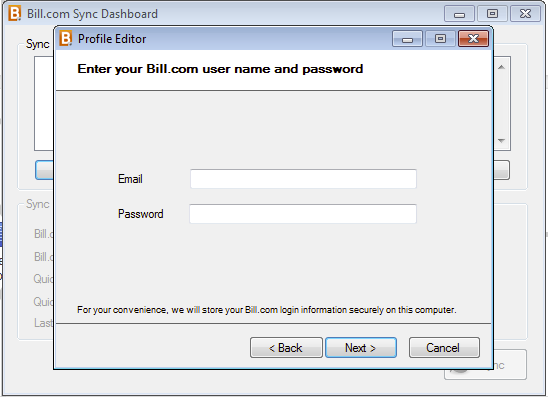 Instructions on the installation of the sync dashboard will need to be provided to your I.T. 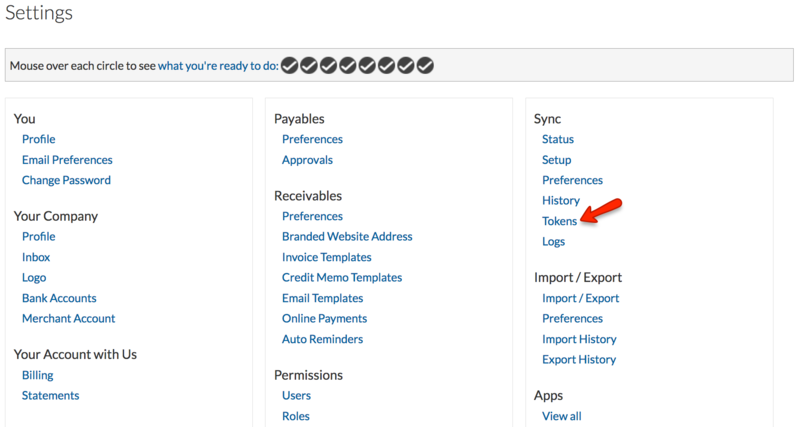 administrator or hosting provider administrator so that the sync dashboard can be installed on your behalf. 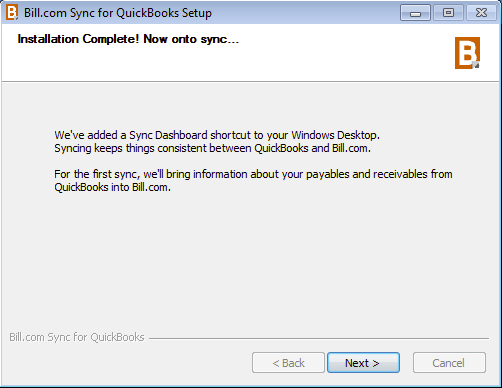 The sync is now connected. 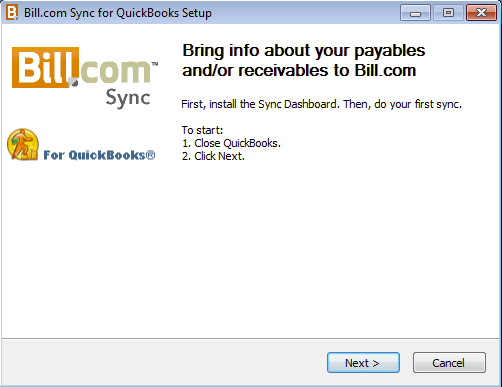 The sync brings everything needed for payables and/or receivables from QuickBooks into Bill.com: accounts, vendors, customers, items, departments (classes), jobs (customer: jobs), and your book balance. 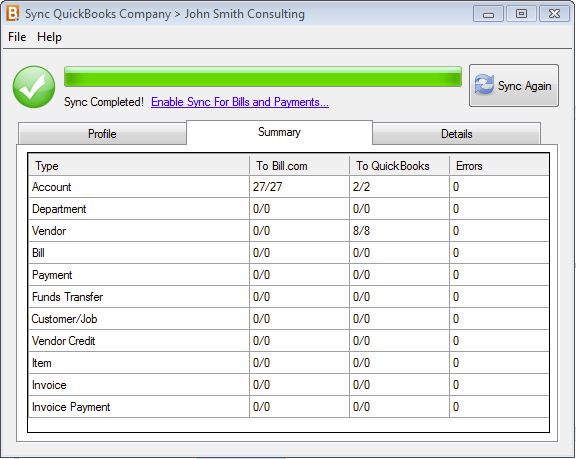 The first sync might take a while, depending on the size of the QuickBooks company file. 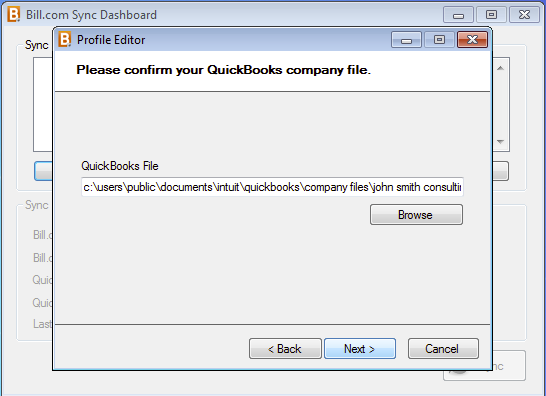 Future syncs will be much faster, and QuickBooks company file will not need to be open. 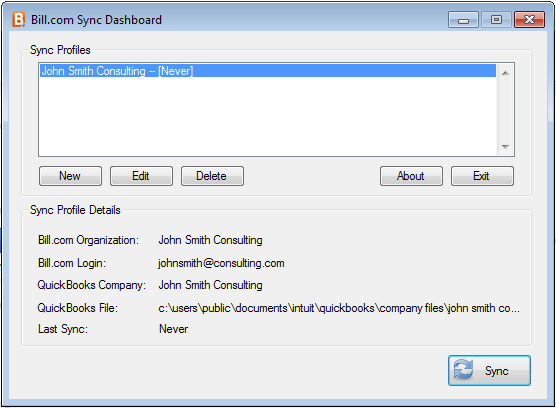 After the first sync completes, fill out sync preferences. 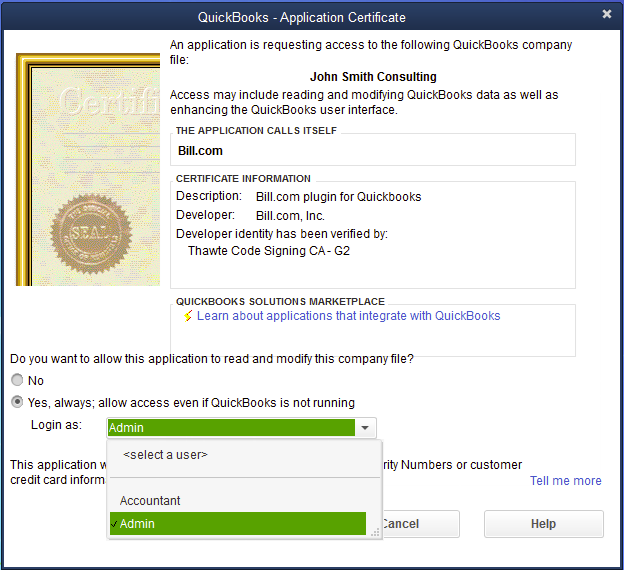 Some fields will be pre-filled, review to ensure the corrects accounts have been selected. Click Save The sync setup is now complete.